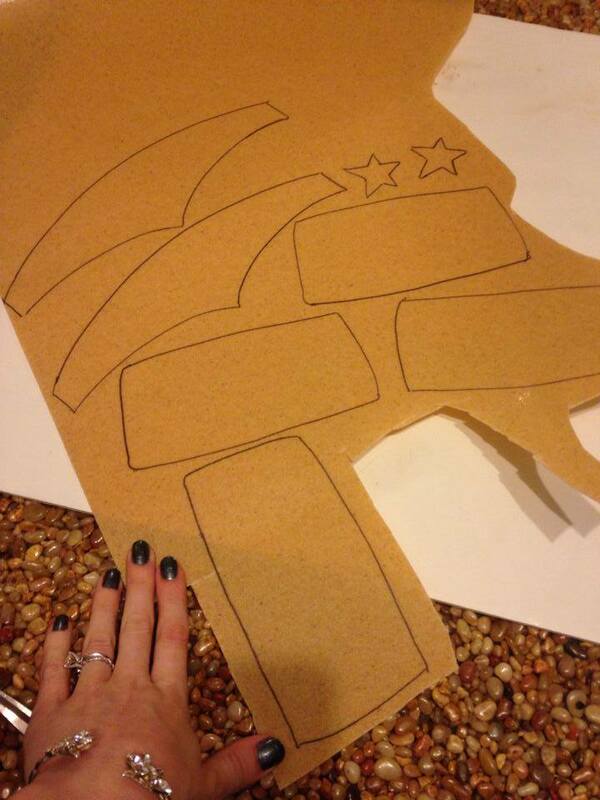 Start by making a paper or foam pattern, and then lay your pieces out. Try to jigsaw them close together to leave as little space between them as possible. 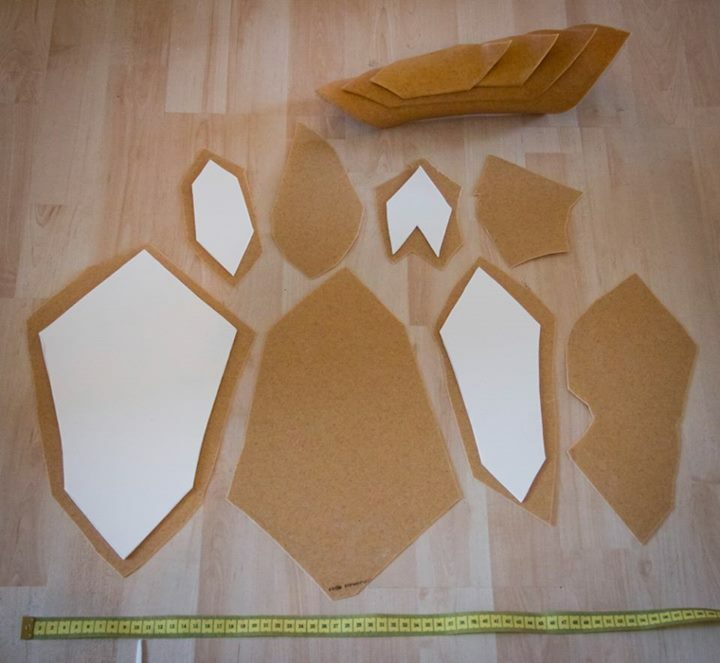 Once you have all of your pieces laid out, you can see just how large of a sheet of Worbla you will need. Remember if you are sandwiching foam between your Worbla pieces you will need to double your Worbla. Remember you can recycle all of your scraps, so don’t throw anything out!